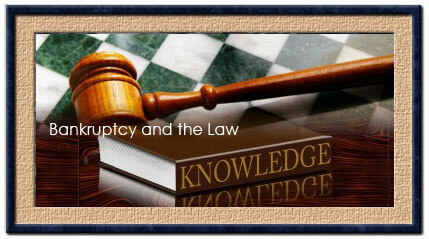 One of the primary (if not the only) goals of the Chapter 13 is for the debtor to obtain a discharge. This means the legal release of any further liability for the claims provided for under the plan. Historically, all a debtor needed to do to get a Chapter 13 discharge was to complete all of his plan payments. Some additional conditions precedent to discharge were added with the enactment of BAPCPA in 2005. These are listed in Bankruptcy Code Section 1328(a), and include: debtor must take the personal financial management course; debtor cannot have received a discharge in a Chapter 7, 11 or 12 case filed within the 4-year period prior to the current case, or a Chapter 13 discharge in a case filed within 2 years of the current case; and if the debtor owed a domestic support obligation, the debtor is required to certify that he is current on his payments. The court is required to conduct a discharge hearing on at least 10 days notice, and make findings that there is no reasonable cause to believe that there is any pending proceeding which may give rise to a limitation on the amount of the debtor's homestead under Bankruptcy Code Section 522(q)(1). Under that section a debtor is limited to a maximum homestead exemption of $ 136,875, if: debtor has been convicted of a felony which demonstrates that the filing of the bankruptcy case was abusive; or if the debtor has debts arising from the violation of federal or state securities laws, for fraud, deceit, or manipulation in a fiduciary capacity with respect to such securities, or arising from any criminal act, intentional tort, or willful or reckless misconduct that caused serious physical injury or death to another individual in the prior 5 years. In Chapter 7, there are 19 different categories of debts that are not wiped out; in Chapter 13 there are only 12. A review of the Chapter 7 and 13 exceptions to discharge reveals that the following debts can be wiped out in Chapter 13, but not Chapter 7: debts for willful and malicious injury to property (as opposed to person); debts arising from property settlement agreements in family law cases; and debts incurred to pay non-dischargeable tax debts. 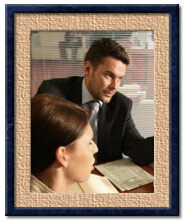 Sometimes, despite his best efforts, a debtor cannot complete his plan payments. This can be due to injury, illness, job less, or other cause. If the Court finds that this failure was due to "circumstances for which the debtor should not justly be held accountable", then the Court, on debtor's motion, may grant the debtor a "hardship discharge" under Bankruptcy Code Section 1328(b). The court also needs to make a finding that modification of the plan is not practical, and that the creditors have already gotten plan payments which are at least equal to the amount, if any, that they would receive in a Chapter 7 liquidation. The Chapter 13 hardship discharge is not as broad as the regular Chapter 13 discharge, however, as it does not cover any debts which are non-dischargeable under Chapter 7.